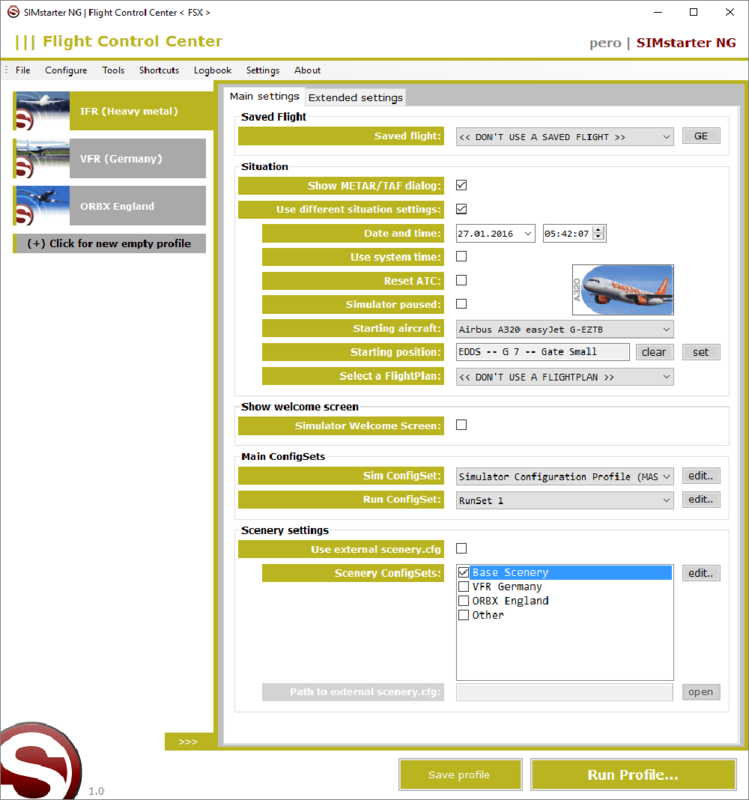 SIMstarter NG is a start-up and configuration manager for the flight simulator. 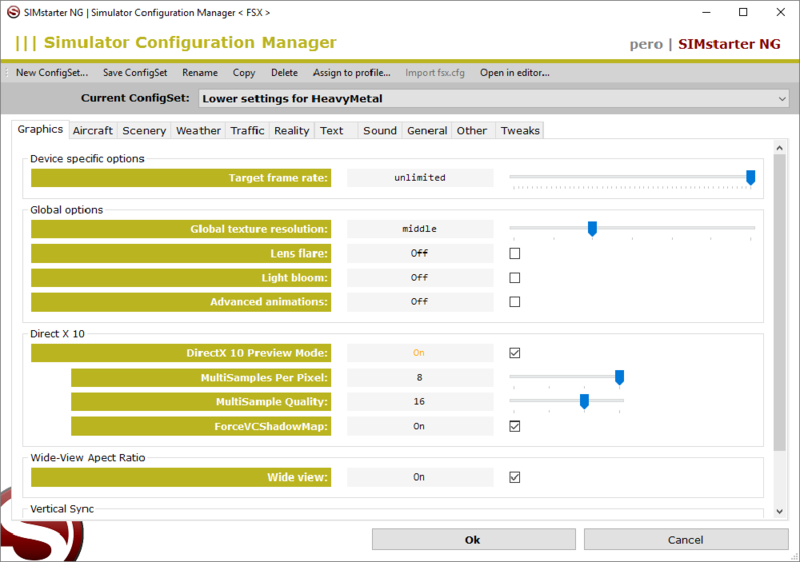 You can create various configuration profiles and start them via simple mouse click. 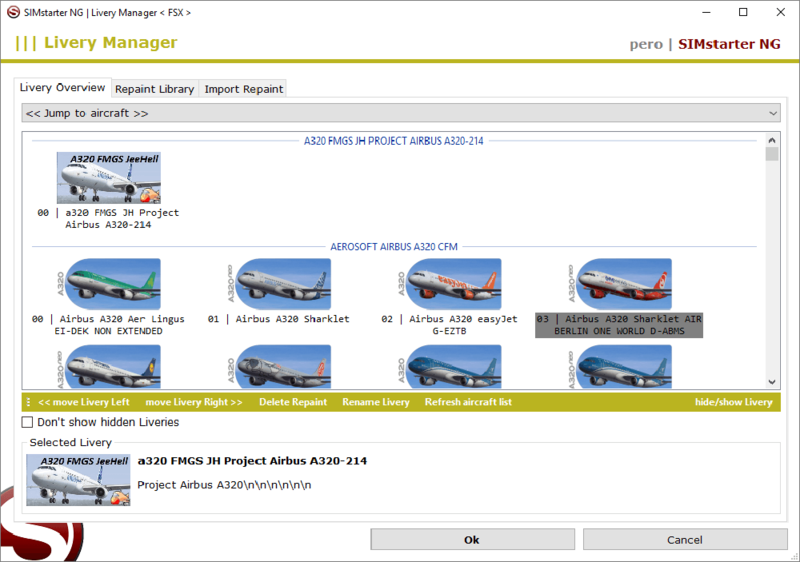 If you want to show more details for a visual flight, and if you have to reduce this for a flight with a large, complex commercial aircraft for performance reasons, this can simply be done via different start profiles. 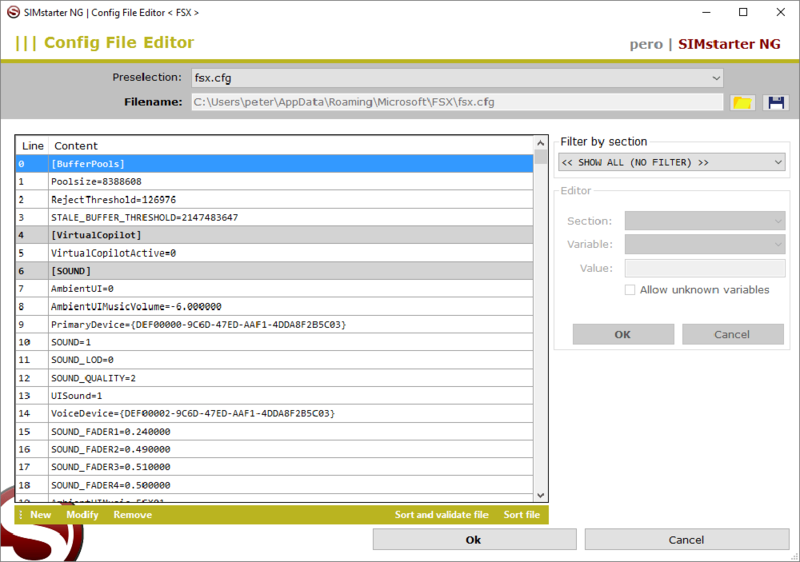 That’s the point where SIMstarter NG comes in: NG can create different profiles for different scenarios. 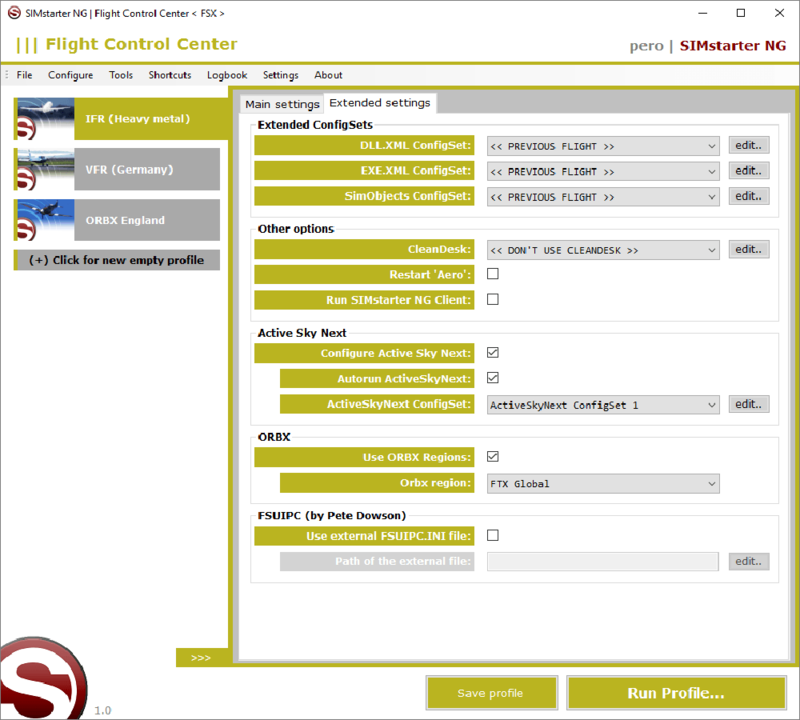 For a „low and slow“ VFR flight you put a profile with higher LOD, greater scenery density, turn on car and boat traffic, general aviation traffic high, add two cloud layers more at the Weather Engine Active Sky Next and switches on all nice, small airfields and gimmicks at the Scenery Library (Scenery.cfg). 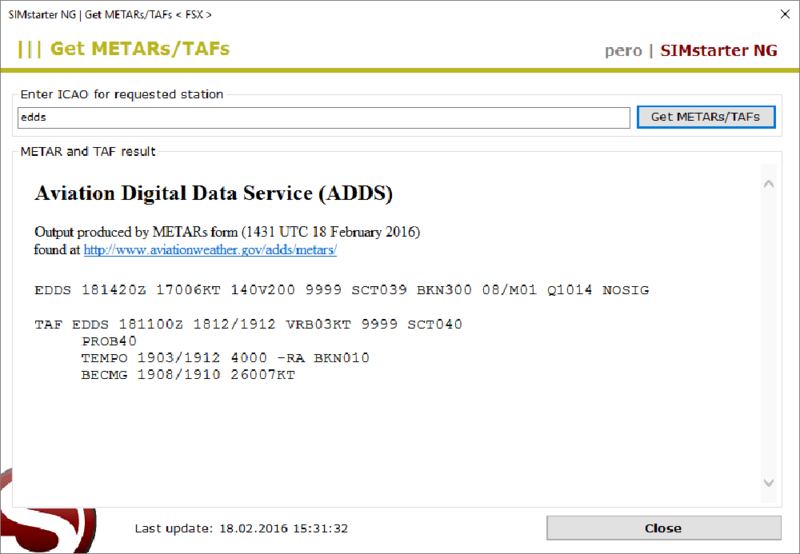 But for the „Heavy metarl“: car and boat traffic off, IFR traffic up , General aviation Traffic down , disable small airfields, because Airbus X won’t be able to land there and chart tools simultaneously. 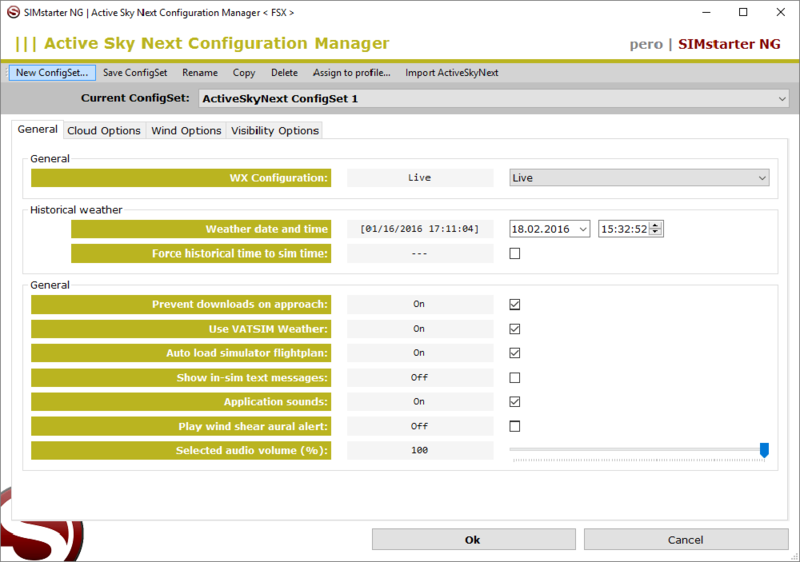 Over the years, SIMstarter NG has also established itself as a very strong configuration editor. 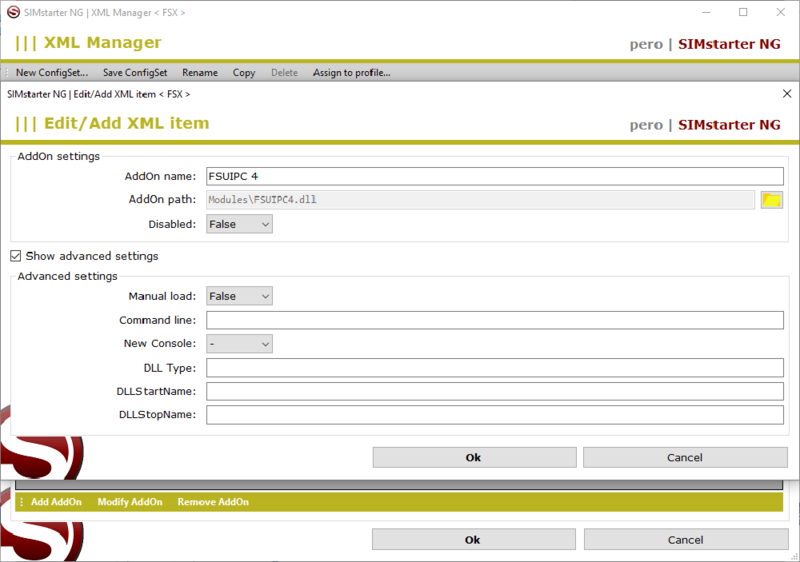 So you can easily change and manage various configuration files of the simulator with a graphical interface. Many well-known tweaks are already preset and only have to be set. "...once you have mastered SIMstarter NG, you may never go back to the standard way of running you sim. 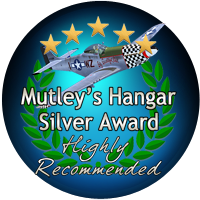 The program is immensely powerful, and with the added features like CleanDesk and the autorunning, Orbx region setup and Active Sky Next configuration included in the program itself, it is hard to imagine ever not using it." 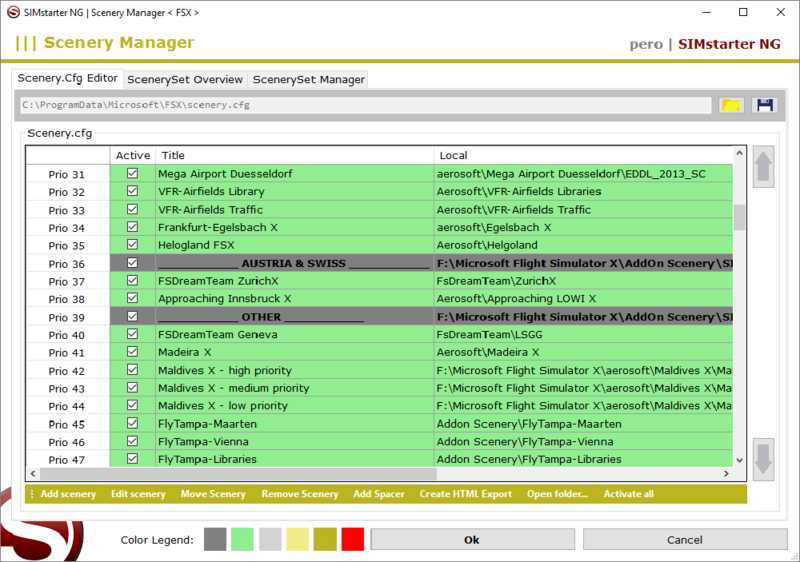 Related links to "SIMstarter NG"
[FEATURE] SimCfg MGR - (P3Dv4.3) Added tweak "MaxRegionsPurgePerFrame"
[FEATURE] RunManager - Added "Copy items to other RunSet"
[BUGFIX] SceneryMGR - (P3Dv4) Spelling issue "Insert below"
[BUGFIX] SimConfig - (P3Dv4) Weather Tab had wrong order. Added "Detailed Precipitation" and "Windshield Precipitation Effects"
Scenery MGR - (P3Dv4) Shows items of Add-On.xml files. Layers can be changed via GUI. Fileswitcher - SwitchSets can be switched ON and OFF by clicking "Switch files"